Fae Risio is a senior at Nichols College majoring in English. She is the President of Windfall, the college literary magazine and works at a horse barn on the weekends. Her passion is writing and hopes to someday become a journalist. “So many people don’t even have a career goal that they went to school for.” The amount of times I’ve heard this phrase is endless, but I never thought I would be one to fall under that category. I declared my major as English my sophomore year and right out of the gate I was confident that I wanted to be a journalist. I couldn’t take enough English classes, writing papers and reading books was just my thing. As this last semester of my senior year rolled around, I began to second guess my goal of being a journalist. It just didn’t seem to fit me anymore. For now, it is still an option, but I would like to explore other options that interest me. Then, while visiting a family member in the hospital for depression, something clicked in my mind that I wanted to help people in these situations. When the career fair rolled around I decided to take a chance and see what kind of opportunities I could find that related to social work. Following the advice of Professor Halprin and Professor Pelto, I went and talked to Caine Dutton, the staffing manager from The Bridge of Central Massachusetts, a former Bison. Caine was approachable and very welcoming. After talking to him about how I became interested in social work and how I had minimal experience, he encouraged me to apply anyway. Before I left his table, Caine asked for my resume and I happily gave him one. Five days later, I had applied for a relief position at The Bridge and got a call from Caine the next day. We set up an interview and I filled out a separate, more detailed application online. When I arrived at the home office in Worcester I sat down and waited nervously. Another girl came in shortly after me who was also there for an interview. We talked a little and she informed me that she had done this kind of work before, which made me more nervous considering I had no experience. Soon Caine came to take us into a separate room where we had to take a preliminary test on the computer that involved a number of tasks including a written section, math, and watching a video. After the test, instead of asking us questions, Caine asked us if we had any. I was kind of surprised by this because it wasn’t a typical interview. After both of us asked several questions, Caine told us we would have a second interview at a different office and they would be contacting us. I had a very good feeling as I left Worcester that day. Exactly a week later I got a call from a woman named Erica who worked for The Bridge in Southbridge. She was also very nice and inviting and we had a interview set up for three days later. When I arrived at the office in Southbridge I wasn’t sure I was in the right spot, because it looked just like a house. I was greeted by Erica and was joined by the Division Director, Jennifer Megas. At first both of them looked over my resume, and it is true what they tell you in PDS, that an employer will only look at your resume for 7 seconds. I was very nervous because I saw they both had two pages of questions but they were extremely nice and not intimidating. Some of the things they asked were the typical interview questions Nichols prepare you for, like what are your strengths and weaknesses? Why is teamwork so important? What conflicts, if any, have you had at previous jobs? Other questions were more difficult pertaining to job, like what is your definition of mental illness and recovery? How would you deal with a patient who doesn’t want to finish their treatment? What do you consider boundaries and how would you make them with patients? Some of the questions caught me off guard and it was nerve wracking that they wrote down everything I said. Over all though, the interview went great and I was told that I would be contacted. On Wednesday April 3rd, I received a call from the Bridge informing me they were offering me a job. I accepted and will be heading to main office next week to get everything set up. I am very thankful for the career fair in helping me find a job for after graduation. It’s not every day at Nichols, or any college for that matter, that you see a course being actually created and primarily led by undergraduate students instead of professors. This semester an honors course being offered is unlike any other that has existed on the Nichols campus. How did this happen? While talking to Professor Despain one day, juniors Karrie Gorman and Autumn Hicks, came to a startling realization that there’s nothing on campus that discusses the issue of gender roles or sexism. And with that thought, the idea for a gender roles class was born. Autumn and Karrie’s first task was to see the concept to Honors Program advisers Professor’s Hans Despain and Kellie Deys. The four of them comprised the course design team. 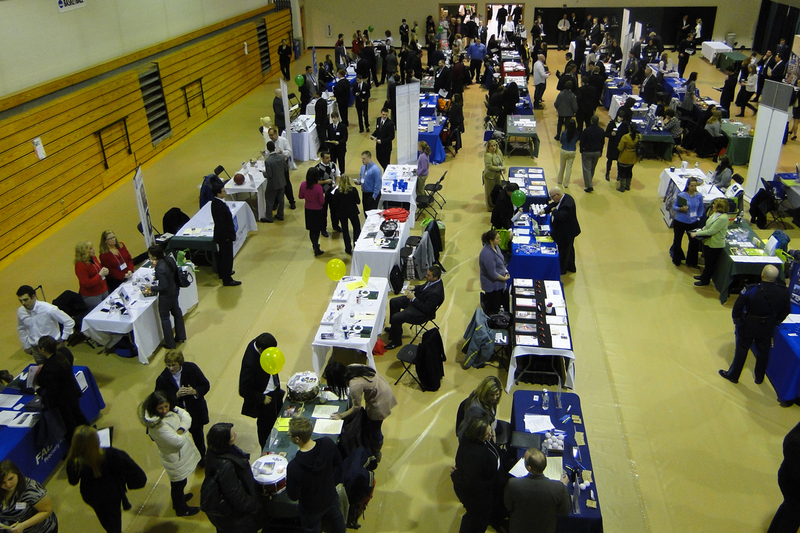 The second step was recruiting enough potential students, which was also quickly accomplished. With these two hurdles overcome the college supported the idea fully. This is the first course at Nichols that has ever been primarily student taught and more student driven than ever. While Karrie and Autumn ultimately came up with the course, and created key exercises such as weekly journals, the class is helpfully guided by both professors. In a gender roles class, it is certainly interesting to have both a male and female perspective on certain topics in class. male students than female ones. It should be acceptable to be yourself but sometimes the pressure to be all business all the time can be overwhelming. Karrie said, “Girls basically have to be little men to be successful.” There are things that need to be improved on campus in terms identifying what actually goes on in society and how things are portrayed in the media. When registration began the class filled up quickly with about thirty students, much more than expected. The course is discussion based where most meetings occur in a circle. The class will view clips online that have to do with gender roles, as well as read articles and novels revolving around the theme. 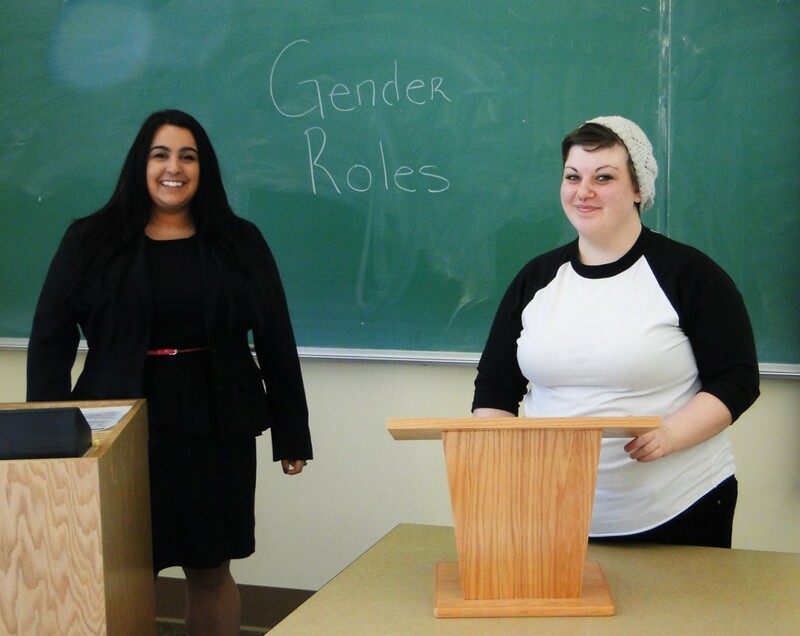 The students are even encouraged to bring in “cultural artifacts” in which they see gender roles being displayed. By the end of the year each student will have completed a final project. We will be checking on the gender roles class at the end of the year to see how effective the course was for students and to look at some final projects.